This vehicle has been sold for preservation. This vehicle has been withdrawn from service at Riverside Depot. Due to Scania L94UB/Wright Solar 4927 (Y927 ERG) being withdrawn, this vehicle has been reinstated at Riverside Depot. 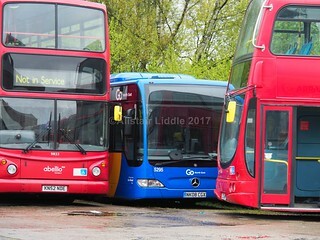 Whilst both Volvo B10BLE/Wright Renown 4898 (V988 ETN) and 4899 (V989 ETN) were originally intended to act as float/reserve vehicles at Deptford to cover for vehicles away for refurbishment at Bus & Coach World, Blackburn, they will instead now be retained at Riverside Depot in their fleet, with alternative Scania L94UB/Wright Solar vehicles being used in a float/reserve capacity at Deptford instead. 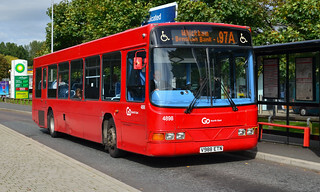 Though originally intended to act as a float/reserve vehicle to cover vehicles away for refurbishment at Bus & Coach World, Blackburn, this vehicle has instead been withdrawn from service at Riverside Depot. Following the end of the two-phase Major Line Closure taking place between Monday 31st July and Saturday 2nd September 2017 to allow for work at Northumberland Park station and track and bridge renewal work which forms part of the £350m Metro: all change modernisation programme, this vehicle has moved into a float/reserve capacity. Though presently remaining based at Riverside; it is intended for this vehicle to transfer to Deptford Depot, where it will cover for Mercedes Citaro vehicles away for internal refurbishment and repaint at Bus & Coach World, Blackburn. 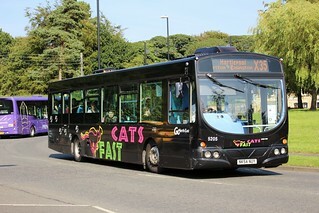 A large number of double-deck vehicles are required over the summer months, due to Go North East being awarded with the contracts to operate additional services for special events and Metro Replacement. 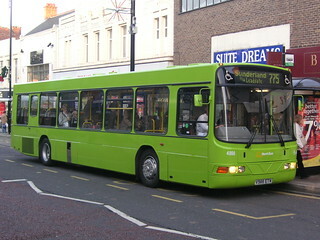 As such; this vehicle, which would have otherwise been withdrawn in line with the cascade of Optare Versas from Deptford Depot to Riverside, has instead been moved into a float/reserve capacity at Riverside Depot, and will be allocated to a Miscellaneous Works running board normally allocated a double-deck vehicle, but does not contractually require this capacity during school holidays, releasing the double-deck vehicle normally allocated for Metro Replacement work. Following the completion of DDA / PSVAR modifications on all vehicles, this vehicle has been absorbed into the main service fleet at Riverside, having previously been classified as a DDA float/reserve vehicle. 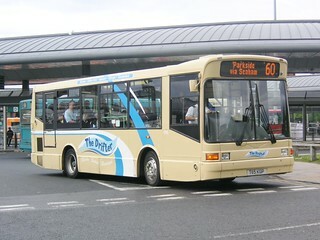 To allow further Riverside-based Wright Renown bodied Volvo B10BLEs to receive DDA modifications at Thornton Brothers, Ashington, this vehicle has transferred from Deptford to Riverside. 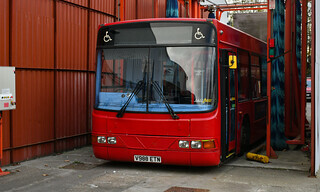 This vehicle has transferred from Riverside Depot to Deptford. This vehicle has received modifications at Thornton Brothers, Ashington, and as such is now DDA-compliant. 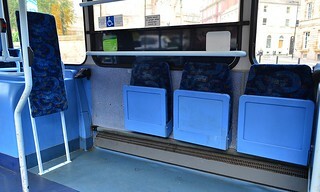 This means that this vehicle does not need to be withdrawn from service prior to 1 January 2016 (like all other non-DDA compliant single deckers). 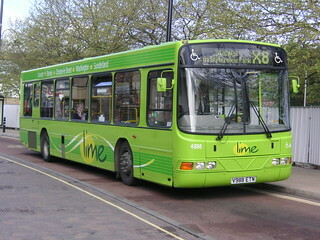 Following the withdrawal of the 775 service (Sunderland - Consett) and the restructure of the routes along this corridor, this vehicle has received "Lime" branding, featuring the tagline "cross county connection". 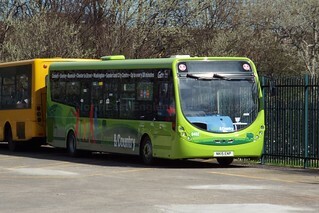 Prior to new branding being launched, this vehicle has been repainted into a plain lime green base livery.